It is possible to automatically win disability benefits for a bipolar disorder if you satisfy the Requirements for the condition in Social Security’s Listing of Impairments for bipolar syndrome. Bipolar Disorder, as the name of the condition suggests, is a brain disorder that causes unusual shifts in mood, energy, activity levels, and the ability to carry out day-to-day tasks. An individual with Bipolar Disorder experiences cyclical periods of extreme euphoria and activity (mania) which are then typically followed by periods of extreme depression. It is sometimes called manic-depressive syndrome or manic depression because of the changes in mood, alternating between depressive and manic periods. Symptoms of bipolar disorder are different from the normal ups and downs we all experience. Bipolar swings are much more severe up and down. Bipolar disorder often results in damaged relationships, poor job or school performance, and may even result in suicide. Bipolar disorder typically develops in an individual’s late teens or early adult years. Approximately half of all cases start before age 25. Bipolar disorder is not easy to identify when symptoms begin. In fact, the symptoms may seem like separate issues which are not identified as pieces of a larger problem. Some individuals suffer for years before they are properly diagnosed and treated. Bipolar disorder is not a short-term illness. It oftentimes must be carefully managed throughout a patient’s life. Psychiatrists, psychologists and other doctors diagnose bipolar disorder using guidelines from the Diagnostic and Statistical Manual of Mental Disorders (DSM). To be diagnosed with bipolar disorder, the patient’s symptoms must be a major change from his or her normal mood or behavior. Bipolar I Disorder is defined by manic or mixed episodes that last at least seven days, or by manic symptoms that are so severe that the person requires immediate hospital care. Depressive episodes usually occur as well, typically lasting at least two (2) weeks. Bipolar II Disorder is defined by a pattern of depressive episodes and hypomanic episodes, but no full-blown manic or mixed episodes. Bipolar Disorder Not Otherwise Specified (BP-NOS) is diagnosed when symptoms of the illness exist but do not meet the diagnostic criteria for either Bipolar I or Bipolar II. However, the symptoms are clearly out of the person’s normal range of behavior. Cyclothymic Disorder, or Cyclothymia is a mild form of bipolar disorder. People with cyclothymia have episodes of hypomania as well as mild depression for at least 2 years. However, the symptoms do not meet the diagnostic requirements for any other type of bipolar disorder. A severe form of the disorder is called Rapid-Cycling Bipolar Disorder. Rapid cycling occurs when the patient has four or more episodes of major depression, mania, hypomania, or mixed states, all within one year. Rapid cycling appears to be more common in those who have their first bipolar episode at a younger age. One study found that people with rapid cycling had their first bipolar episode about 4 years earlier, typically during the mid- to late-teen years, than those without rapid cycling bipolar disorder. Rapid cycling affects women more than men. Rapid cycling can come and go. When establishing a diagnosis, a doctor or other health care provider should conduct an interview, a physical examination, an interview, lab tests. Although bipolar disorder cannot currently be identified through a blood test or a brain scan, these tests can help rule out other factors that may contribute to mood problems, such as a thyroid condition, stroke or brain tumor. If the mood problems are not caused by other conditions or illnesses, your health care provider may conduct a mental health evaluation or refer you to a trained mental health professional, such as a psychologist or psychiatrist, who is experienced in diagnosing and treating bipolar disorder. The doctor or mental health professional should obtain from you any family history of bipolar disorder or other mental illnesses and get a complete history of symptoms. The doctor or mental health professional should also talk to your spouse or other close relatives about your symptoms and family medical history. Patients with bipolar disorder are more likely to seek medical assistance when they are depressed than when they are in a mania or hypomania state. For this reason, a careful medical history is required to be sure that the bipolar disorder is not mistakenly diagnosed as major depression. Unlike those with bipolar disorder, people who have depression only (also called unipolar depression) do not experience mania. Bipolar disorder can worsen over time if left undiagnosed and/or untreated. Episodes may become more severe or more frequent over time without proper treatment. Also, delays in obtaining the correct diagnosis and treatment can cause personal, social, and work-related problems. Proper diagnosis and treatment help those with bipolar disorder lead healthy and productive lives. In most cases, medical treatment can help reduce the frequency and severity of bipolar episodes. Unfortunately, substance abuse is very common among those with bipolar disorder. The reason for this link is unclear. It appears that some people with bipolar disorder may try to “self-medicate” and treat their own symptoms with drugs or alcohol. However, such substance abuse may only trigger or prolong bipolar symptoms, and the behavioral control problems during a mania phase can result in a person drinking too much. Those subject to bipolar disorder may suffer other mental conditions as well. Anxiety disorders, such as post-traumatic stress disorder (PTSD) and social phobia, also sometimes diagnosed at the same time as a bipolar disorder. Bipolar disorder is also co-diagnosed with attention deficit hyperactivity disorder (ADHD), which has some symptoms that are the same as in bipolar disorder, such as restlessness and being easily distracted. Those with bipolar disorder are also at higher risk for obesity, heart disease, migraine headaches, diabetes, thyroid disease, and other physical illnesses. These illnesses may cause or exacerbate the symptoms of mania or depression. They may also be the result of treatment for bipolar disorder. Individuals with bipolar disorder experience unusually intense emotional states that occur in distinct periods called “mood episodes.” One state of mind is called a manic episode and it usually involves being in an overly joyful or overexcited state. The other state of mind is a depressive episode, which makes the individual extremely sad or hopeless. Sometimes, a mood episode called “mixed state” may involve symptoms of both mania and depression. Some individuals with bipolar disorder may also be explosive and irritable during a mood episode. Extreme changes in energy, activity, sleep, and behavior often go along with these changes in mood. It is possible for someone with bipolar disorder to experience long-lasting periods of unstable moods rather than shorter episodes of depression or mania. It would not be unusual for an individual experiencing an episode of bipolar disorder to experience a number of manic or depressive symptoms for most of the day, nearly every day, for a week or longer. Sometimes symptoms are so severe that the individual cannot function normally at work, school, or home. When bipolar patients are experiencing mania, they will often participate in substance abuse (drugs and alcohol) and increased (and unsafe) sexual activity. They will also typically display aggressiveness and grandiose, delusional ideas about themselves. In the later stages of mania, the patient may even experience hallucinations, psychotic delusions, and rage. Symptoms on the other range of depression can include extreme sadness and fatigue, and feelings of guilt, hopelessness, isolation, and anxiety. Depression may also cause a decrease in sexual drive, interest in normal activities, and appetite, and a loss of sleep. 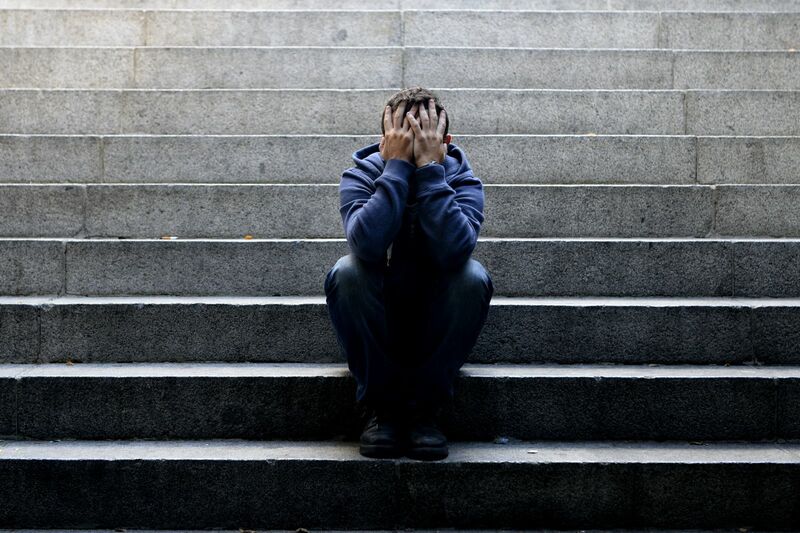 Depressive states often come with lack of motivation, pain and social anxiety. In the later stages of depression, those experiencing a depressive state may become psychotic and suicidal. Symptoms of bipolar disorder typically first display in childhood or late adolescence. Studies suggest that many factors contribute to the disease, including genetics, neurobiology and early childhood environment. The disease is typically diagnosed after other illnesses are first ruled out. Bipolar disorder is treated with therapy, counseling, and medications such as mood stabilizers and antipsychotic medications. Lithium is the most common medication prescribed for bipolar disorder. Is Being Bipolar a Disability? Bipolar disorder is a specifically listed disability in Social Security’s impairment listing manual, the “Blue Book”. This means that applicants with bipolar can automatically win disability benefits by “meeting” (or satisfying) the requirements in the bipolar disorder listing. In the alternative, if the claimant can prove that her or she cannot perform his or her past work (or any other unskilled work), he or she may be entitled to a medical-vocational allowance. In other words, if an individual’s mental residual functioning is so restricted that he or she is unable to meet the demands of simple routine repetitive work activities, or if his or her functional capacity is so restricted that he or she is not able to perform or be trained to perform other jobs, a medical-vocational disability allowance is possible. hallucinations, delusions or paranoid thinking. Lastly, you need to demonstrate recurring, lengthy episodes of worsening bipolar symptoms or serious problems with focusing, social functioning, or activities of daily living (ADLs). Claimants with bipolar disorder should remember that disability claims are typically won or lost mainly on the basis of medical records. This means that the fewer medical records you have, the more likely you are to lose your claim. You should try to maintain a consistent and ongoing schedule of treatment. In an ideal situation, this means treating with a psychiatrist or psychologist, with no more than a 90 day gap between treatments. Although a mental health counselor is a licensed medical health professional, some Judges do not accept the opinions of counselors as substantial evidence as they are not “accepted medical sources” under Social Security’s regulations. Your doctor should be recording all of the symptoms and limitations you experience during episodes of mania or depression so that the SSA claims handler or Judge can determine whether they match the SSA’s Listing criteria set forth above. If you have been denied benefits and feel your case is strong enough to win an appeal, consider contacting an experienced disability lawyer. Applicants who go to an appeal hearing before an Administrative Law Judge represented by a lawyer have better approval rates than applicants who represent themselves. Mr. Ortiz is a Board Certified Social Security Attorney, has experience handling bipolar disability claims, and offers free case evaluations. Contact him at (850) 308-7833 today.